It’s the weekend, which is time for lazing and eating. 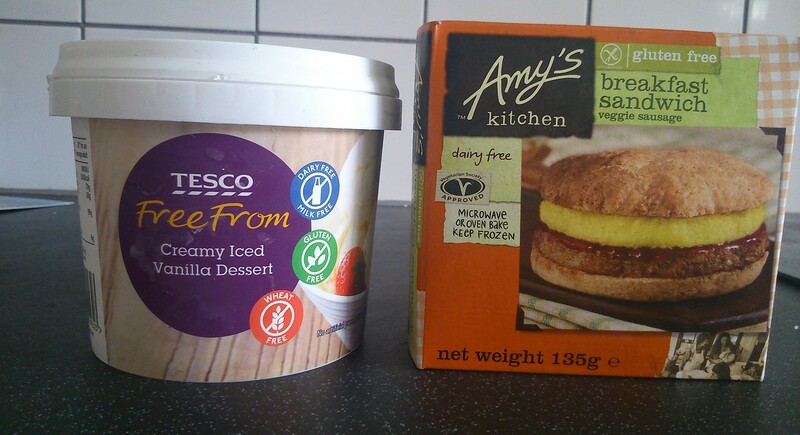 And today I’ve tried out two new vegan products I found at my local Tesco. Not exactly a weekend of clean eating, must try harder for next week! This breakfast sandwich reminds me a lot of the McMuffins I used to eat sometimes, so I was curious to see how it would be, as you can see there’s a little veggie sausage patty and a tofu scramble “egg”. Now it does look like convience food, (well even a little like airplane food as it comes in a little clear bag when you open the box!) but if you are microwaveless like myself and have to oven cook, it does take around half an hour to cook one little sandwich, you need to foil wrap the two patties and cook them first, then foil wrap and cook the two buns after 15 mins. Anyhoo I followed the instructions, popped alongside a couple of hashbrowns and here it is cooked! 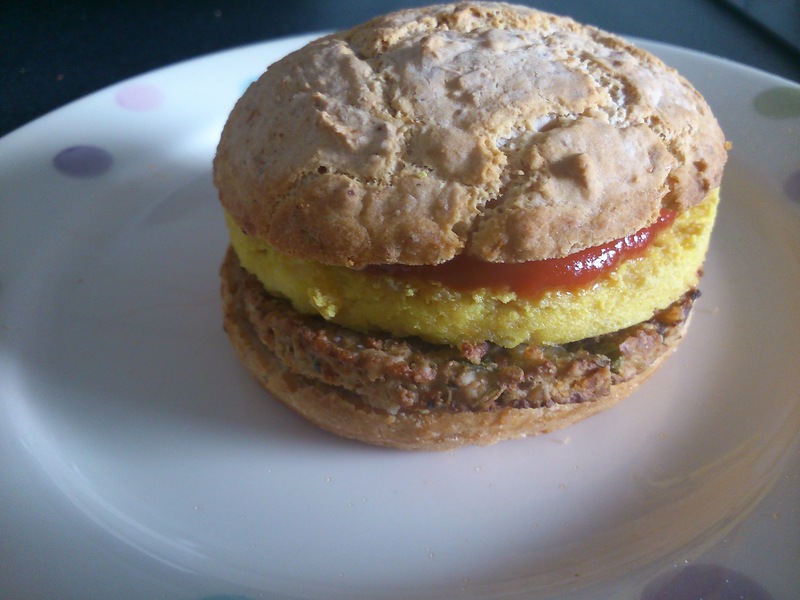 It was pretty tasty, I liked the tofu patty as I rarely have tofu scrambled and to have it in a bap form was pretty fun. I’d def reccomend you add a good dollop of vegan ketchup/mayo/mustard if you oven cook to add a little moisture to the sandwich. I offered a bite to my boyfriend who wasn’t much of a fan – said he could taste too much of an aniseed flavour, I could also taste this much to me it was not too overpowering. I read through the ingredients list and could see some spices and cumin was listed, but I am pretty sure I spotted a caraway seed in the patty – so perhaps that’s where that flavour is coming from. Althought the ingredients list is full of organic veggies and tofu, but it still does feel like eating junk food – but that’s ok sometimes! However, would I repurchase? Not sure… maybe if I was going to microwave next time as 3 mins is preferable to 30. Nice to grab if I am staying over at a friends so I have an easy breakfast ready the next day, pricewise, it’s similar to paying for a sandwich in the chiller section of your supermarket, so not too pricey, but I wouldn’t make this a regular breakfast for me! I know online there is a lot of love for this sandwich, so perhaps you will fall more in love with it than me! Another gluten free item today! Well this is exactly what it’s rather long name on the tub describes it to be. 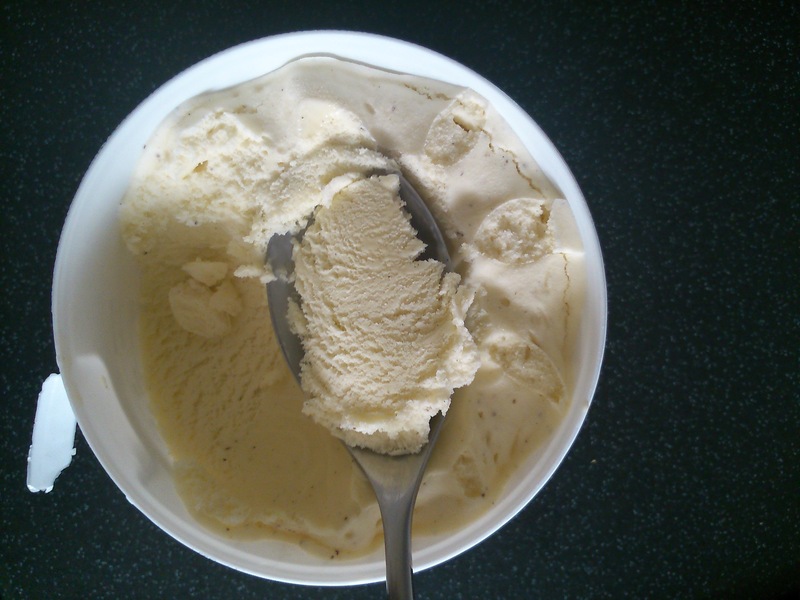 It’s yummy vegan vanilla ice cream. I found it very similar to Swedish Glace – which I will continue to buy over this one, purely because you get more for your money with a Swedish Glace tub, however it’s fantastic to see Tesco create another product I can eat, as all their recent new veggie frozen foods were loaded with dairy which was so gutting! Perhaps they will decide to add a bit more variety with these new vegan items sneaking in, maybe we may see some free from ice creams in different flavours?? So there we go, two new items, both were nice enough but did not set my world alight! Let me know what you think! I couldn’t even find that breakfast sandwich at Whole foods in NYC, so I’m super psyched to see it’s arrived here! What size Tesco did you get it from? I’ll be passing on your comments about the sandwich to vegan friends. Hi Flibsey, firstly thank you so much for checking out my blog! That’s really inetesting, I totally agree with you on Bessant & Druy, I finally forked out £4 when it was on offer and was so disappointed with it! Only had Boojabooja once and did enjoy it, but you do have to like nuts a lot I think because you can taste the cashew cream pretty strong as I imagine you well know! Yes the sandwich is good, but not quite as amazing as I imagined from a few very passionate people on facebook. It’s nice for a change, it’s def the “egg” tofu patty that makes it, perhaps they should sell batches of that separate!